My Friend Got Into an Accident With My Car. Am I Responsible? Home » The Law & You » I Loaned My Car to a Friend. She Got Into an Accident. Am I Responsible? I Loaned My Car to a Friend. She Got Into an Accident. Am I Responsible? After his friend got into an accident with his car, a viewer wants to know if he is responsible for the damages. Pennsylvania car accident lawyers Greg Fellerman and Ed Ciarimboli explain the legal options available. Dave Kuharchik: For today’s edition of “The Law & You” we’re going to talk about a friend that loaned another friend a car. It could be a problem, already sounds like one. 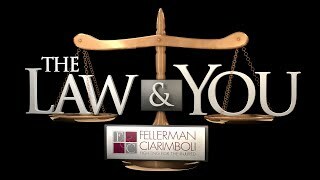 Let’s talk to attorneys Greg Fellerman and Ed Ciarimboli, sponsors of “The Law & You” here. Gentlemen, welcome. Greg Fellerman: Thanks for having us, Dave. Ed Ciarimboli: Well, obviously you’re trying to do a good thing by loaning your friend your car, but things have gone south. Hopefully, your friend doesn’t have a bad driving record. If your friend doesn’t have a bad driving record, then your car insurance is going to kick into play here and your policy limits are going to kick into play. There really shouldn’t be anything you can be responsible for beyond what those policy limits are personally. However, I’m going to let Greg address it because we’ve been down this road way too many times on cases that we have. Greg: If you knew the person you loaned the car too has a terrible driving record or other accidents, speeding, or drinking and driving, then you can be brought into the lawsuit under the theory of a negligent entrustment, saying “You know better, you shouldn’t have loaned your car to that person.” They go out, they get in an accident, and, as you being the owner, may end up being sued as a result of negligently loaning that car. Whenever you decide to give your keys to somebody, think twice about it. Make sure that you know “Is this someone I want driving my car?” At the end of the day, you may be responsible to. Dave: We got this one solved, and for you who may have a question for these guys, attorneys Greg Fellerman and Ed Ciarimboli, how can our viewers talk to you? Greg: First, they can get us on our web-site at 714hurt.com, you can call our office at 570-714-4878, you can also like us on Facebook. Ed: If anyone has any questions, like us on Facebook, post your question, and we’ll try our best to answer them on the next “Law and You” segment. Dave: Very good, attorneys Greg Fellerman and Ed Ciarimboli, sponsors for “The Law & You” from Kingston. Gentlemen, thanks for being here we’ll see you next time. Greg: Thanks for having us.